I was browsing through the Metrodeal site when I saw a promo. 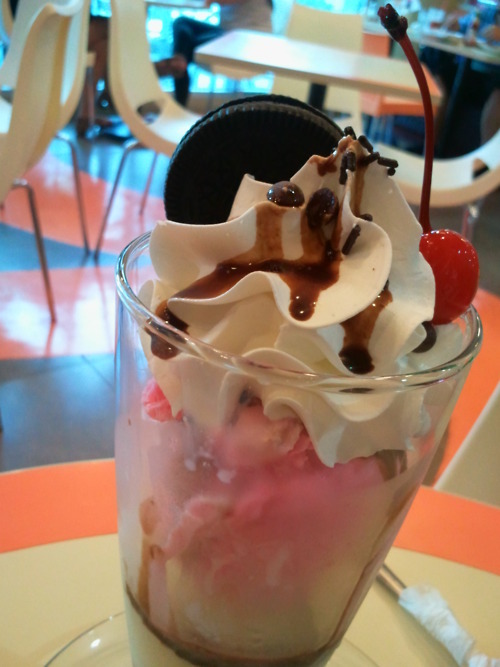 "Php 99.00 for Php 200.00 worth of delightful food, drinks and frozen treats at Chocolate Spoon by Icebergs in Robinson's Manila - Save 51%" My experience there rushed back to my head. So here I am, giving you a review. So should you avail the promo? What should you expect? Since their sundaes are basically the same in components, and only differ in the flavor, I decided to review the both of them together. Though I like my sundae in a wider and shorter glass, so I can taste all the different flavors comprising the treat together, I think they chose a tall glass for a more convenient and less messy consumption. Both are served with two scoops of ice cream, the flavor of your choice. You have to tell them exactly what you want though because if you don't, they will give you the default flavors in the menu per sundae. 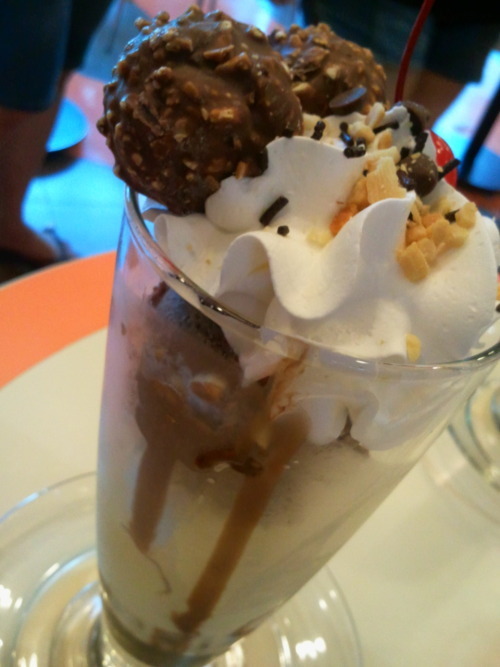 Whipped cream is generously put on the top of each of their ice cream treats, drizzled with chocolate syrup and/or topped with nuts and chocolate kisses. After digging in, you will discover a generous amount of caramel syrup for the Ferrero Indulgence while chocolate syrup for the Strawberry Dunk 'Em Oreo, that will ooze and creep into your sweet tooth.